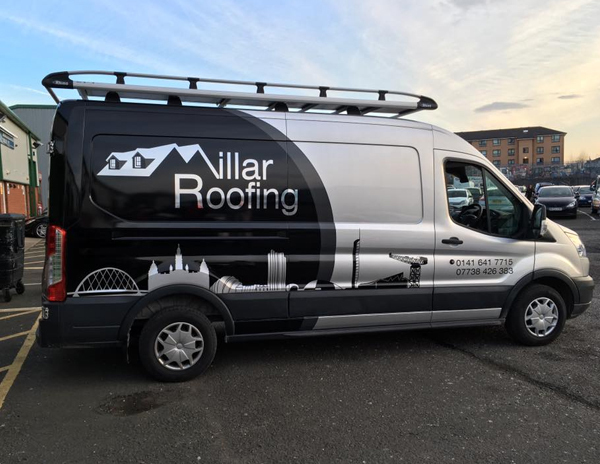 At Millar Roofing, we specialise in providing high quality roofing services for residential customers throughout Glasgow and the surrounding areas. We are a family run business with over 10 years of industry experience and offer the complete roofing service, providing everything from tiling & slating, flat roofing and roof repairs to window installations, guttering replacement chimney refurbishment. With the majority of our work coming from repeat clients and word of mouth we can ensure all work is carried out safely, efficiently and to the highest possible standard. We provide a wide range of services which include working with property management companies, new home builders offering a quick response to their customer care departments, and our list of satisfied private house owners. “Thanks again Graeme for your excellent job on my roof and guttering and for leaving the site clean and tidy. I would certainly use Millar Roofing again should the need arise in the future“.